Overall, January Bay Area home sales were 3 percent lower year over year, while inventory declined by 2 percent. Alameda and Contra Costa county home sales and inventory were off to a solid start in 2017, with a 10 percent increase in supply and a 2 percent increase in sales. Silicon Valley and San Francisco saw activity fall notably from last January, with an average 12 percent decline in inventory and 8 percent fewer home sales. North Bay January sales and inventory were also down from one year earlier, but the drop was relatively smaller than in Silicon Valley and San Francisco. The improvement in supply conditions in the East Bay suggests the potential for stronger February sales. Although January is seasonally the slowest month for home sales activity, much anticipation followed the election outcome and the Federal Reserve’s decision to increase interest rates. However, it is still too early in the year and too soon following those events to understand their full impact. The last couple of months certainly proved that the market has paused. Much as in December, Bay Area housing market activity finished January on a lower note than it did a year ago. Overall, January home sales were 3 percent lower on an annual basis, while inventory was down by 2 percent. A noticeable dichotomy among Bay Area markets arose. Home sales — all property types — in relatively more affordable regions, namely Alameda and Contra Costa counties, performed better this January year over year, while more expensive Silicon Valley struggled. San Francisco and Marin counties landed somewhere in the middle, though home sales in those regions were still lower than they were last January. Condominium sales in San Francisco dropped off relatively more than overall home sales. Figure 1 summarizes year-over-year changes in sales volume and inventory from January 2016. Inventory improved only in Alameda and Contra Costa counties, where it rose about 3 percent year over year in December and 10 percent year over year in January. Other Bay Area regions continued to see annual inventory declines. The decrease was particularly notable in Silicon Valley and San Francisco, where inventory declined by 12 percent on average from one year ago. The drop was driven by a 20 percent decline in homes priced below $1 million — or about 400 fewer properties — in the two regions. About two-thirds of the decline is attributed to fewer affordable homes in Santa Clara County, while one-third is due to fewer affordable homes in San Francisco. But since lower-priced inventory accounts for a larger share of San Francisco’s housing stock, the decrease was more pronounced there. The inventory of homes priced between $1 million and $2 million was also 6 percent lower on average in Silicon Valley and San Francisco. On the other hand, with a 14 percent increase in inventory, Alameda County was one of two Bay Area regions with improved sales over last January. The gain was largely driven by more affordable homes for sales — those priced below $1 million — which were up by about 130 units, or 10 percent. Contra Costa County also saw more homes for sale, with the largest increase — 44 percent or about 95 homes — in properties priced between $2 million and $3 million. When looking at home sales activity in different Bay Area regions and across price ranges, the picture is equally mixed. While overall sales volume was down 3 percent from last year, the decline continues to be led by sales of homes priced below $1 million, which were down by 6 percent. Homes priced between $1 million and $2 million rose by 6 percent, while those priced between $2 million and $3 million declined by 4 percent. The softness again is driven by relatively fewer sales in Silicon Valley, a trend that persisted through much of 2016. Given the dichotomy among Bay Area housing markets, the question arises whether overall slower sales are a function of a lack of inventory, low affordability, or cooling buyer demand. Correlating December inventory with January sales volume suggests that the availability of homes on the market plays a large role in activity. In Alameda County, January sales rose at the highest pace after a sizable increase in December inventory. The increase was largely driven by sales of homes priced between $1 million and $2 million, which were up by 62 percent. Alameda County’s median sales price was about $683,000 in January, so the sales increase is not necessarily related to affordability. Figure 2 illustrates the year-over-year change in December inventory. Figure 3 illustrates the annual change in homes sold in January. On the other hand, San Francisco and Silicon Valley saw some of the largest housing supply declines in December, a trend that started in the latter part of 2016. 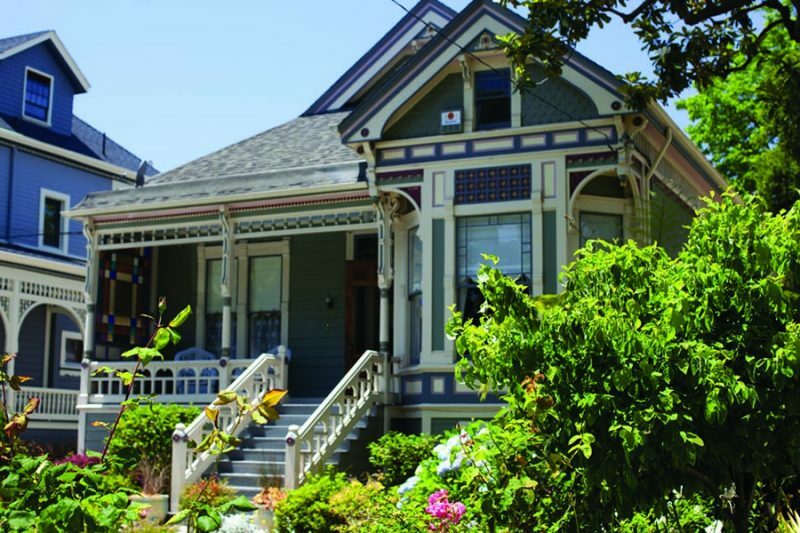 Consequently, home sales decreased relatively more in January than in other Bay Area regions. It is still hard to tell if slowing sales in those two regions are primarily due to falling inventory levels, or if anxiety over new administration’s immigration policies has had an impact on the large number of Silicon Valley residents who rely on H1B visas. Anecdotal evidence noted in a recent San Francisco Business Times article suggests that some Silicon Valley H1B residents and foreign buyers in general have postponed their home purchases until there is more certainty around future immigration policies. And while future immigration policies and their outcomes will remain uncertain for some time, inventory trends may at least offer some sense of what the next couple of months could bring. 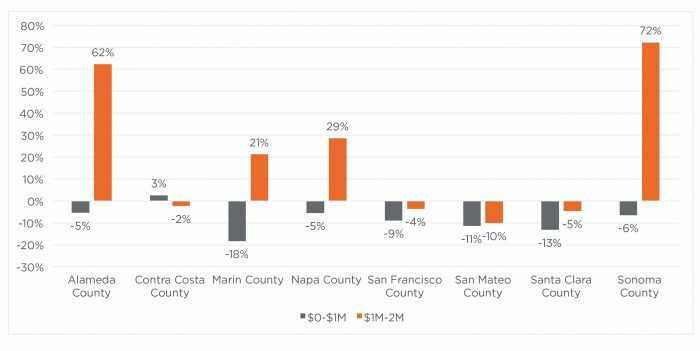 Figure 4 illustrates the number of homes for sale over the last two years in four Bay Area regions. What is clear from the picture is that supply conditions have not budged much and in fact trended lower in the latter part of 2016. In most of the regions, the first half of 2016 had more inventory than in 2015, but those numbers rapidly fell off in the fourth quarter and averaged about 5 percent lower than in 2015. As previously noted, the East Bay may be off to a stronger year, as annual inventory in January improved by 14 percent in Alameda County and 6 percent in Contra Costa County. Other Bay Area counties saw no improvement in inventory from last January. Encouragingly, Alameda County gained inventory in all price ranges, including homes priced below $1 million, which were up by 10 percent from last January. All told, January Bay Area housing market indicators present both encouraging and discouraging signs. On the positive note, inventory improvements and a steady increase in sales of those homes suggest that demand is still healthy. On the other side of the coin, a housing supply decline in higher-priced areas, as well as struggling sales, suggest that those regions may not perform as well in the first half of 2017. The main culprit may again be severely constrained inventory at the lowest end of the market, which still comprises the vast majority of sales in all Bay Area regions.